Hello! I'm super excited to be here on Kat's blog today to share a jewellery DIY. Kat's fashion posts are some of my favourites, so I hope this one fits nicely with her summer looks and gives you a chance to try some simple techniques. 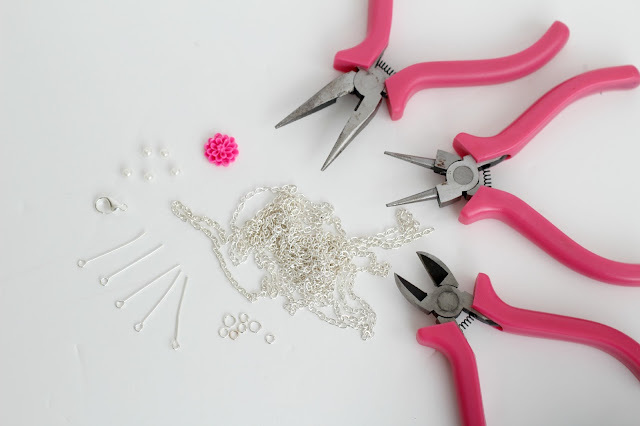 For this DIY you will need to be familiar with two simple jewellery making techniques: opening and closing jump rings and making a loop. 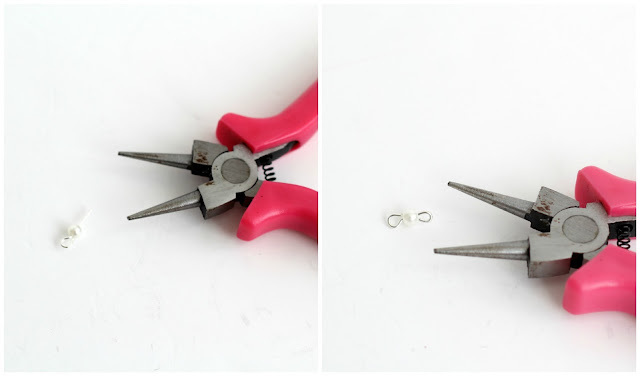 Jump rings are use to attach one component to another and are vital to jewellery making! I would recommend spending a few moments practising each of these before beginning. If any of these instructions aren't clear, feel free to tweet me or drop me an email! 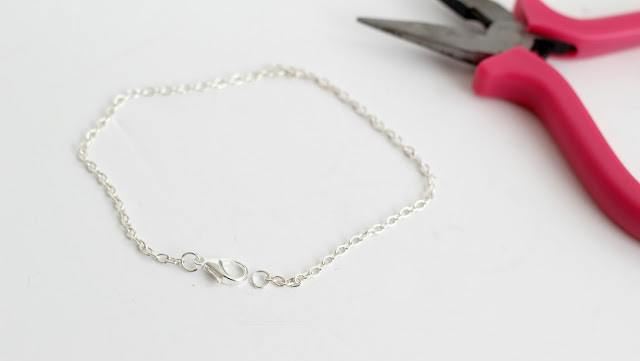 Cut a piece of jewellery chain which just measures around your wrist. Fold this piece of chain in half and attach a jump ring at the half way point. On the free ends of the chain, attach a jump ring to one end and a jump ring plus lobster clasp to the other end. This forms the bracelet part of your hand chain. Thread a small pearl bead onto the eye pin and make a loop with the straight end. Repeat this with two more beads so you have 3 in total. Now you are going to begin to make the decorative part of the hand chain and connect the components together. In between each component you will use jump rings to connect them. Your flower connector bead should have holes on each side where you can add a jump ring and then attach to the pearl bead sections. Repeat step 5 so your decorative section has two flower connectors with pearl bead sections either side and in between. Cut a piece of chain long enough to wrap around your middle finger and over your middle knuckle. 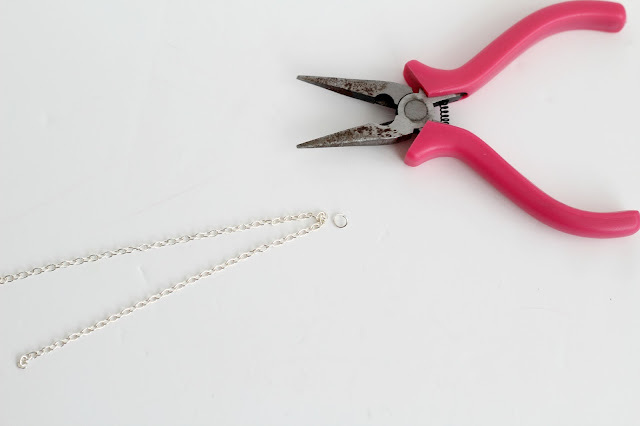 Attach the finger chain to the decorative section with a jump ring. This completes the hand chain! To wear, first place the finger chain on and then close the bracelet part around your wrist using the clasp. Will you be making a boho hand chain? See you again on Friday! Sun Goddess Self Tanner Review & Giveaway!